Chatarpur is nearly 50 km from Aurangabad, Bihar which is in Centre between Daltenganj (Jharkhand) & Aurangabad(Bihar). Its is also one and only one route which connects Patna (Bihar) to Ranchi (Jharkhand) via Aurangabad (BR) via Daltenganj (JH). Its is also a route which Connect Bihar to Chattisgardh via Aurangabad, via Chatarpur, via Daltenganj. From last 3 years it was found that Chatarpur was rich in concrete and there was large scope of it. Sooner many crushers installed and mining started. Today chatarpur is knowned for it and nearly 30-40 crushers are in operation and more than 1000 TATA Vehicles are in operation as estimated. Mostly the crusher & Truck owners are outside the states. Basically Chatarpur is a source of minerals and it is being extracted on temporarily basis. 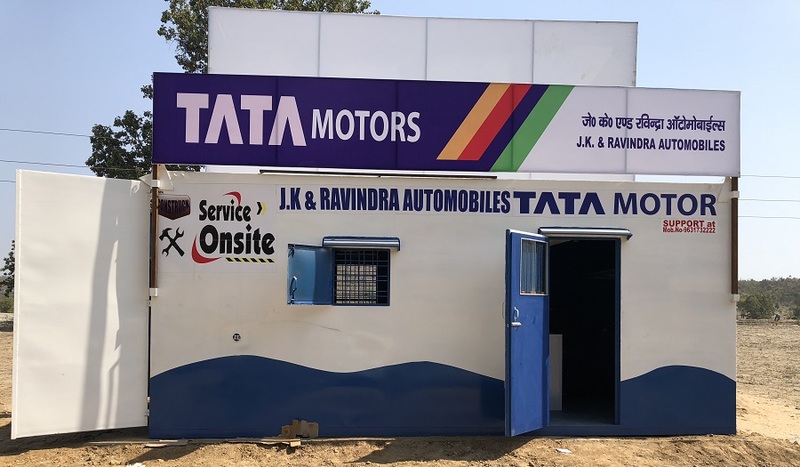 Mr Subadeep Baral (Customer Support Manager, Bihar) gave his precious time for the inauguration of Container at Chatarpur. Inauguration was done by one of the Oldest Customer and resident of Chatarpur.